McCoy Tyner picked Brother Elvin and a bunch of interesting, first-class colleagues for his fourth album as a leader, Today And Tomorrow, arguably his most varied Impulse recording. 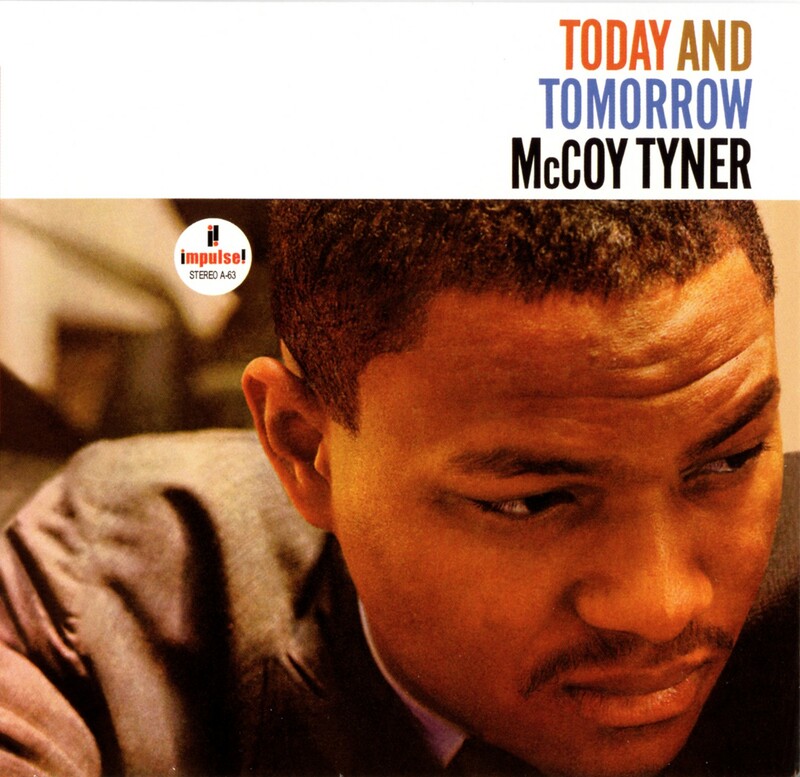 Perhaps The Real McCoy is pianist McCoy Tyner’s greatest achievement as a leader. The Blue Note album, released in 1967, certainly is a perennial favorite for many fans and musicians alike. On a series of inventive and ‘meaningfully simple’ modal pieces, Tyner’s whirlwind style was totally synced with the interaction between Joe Henderson, Ron Carter and Elvin Jones. The album’s emotional directness goes straight to the gut. It’s got that something. However, the discography of Tyner is filled with hi-level gems. 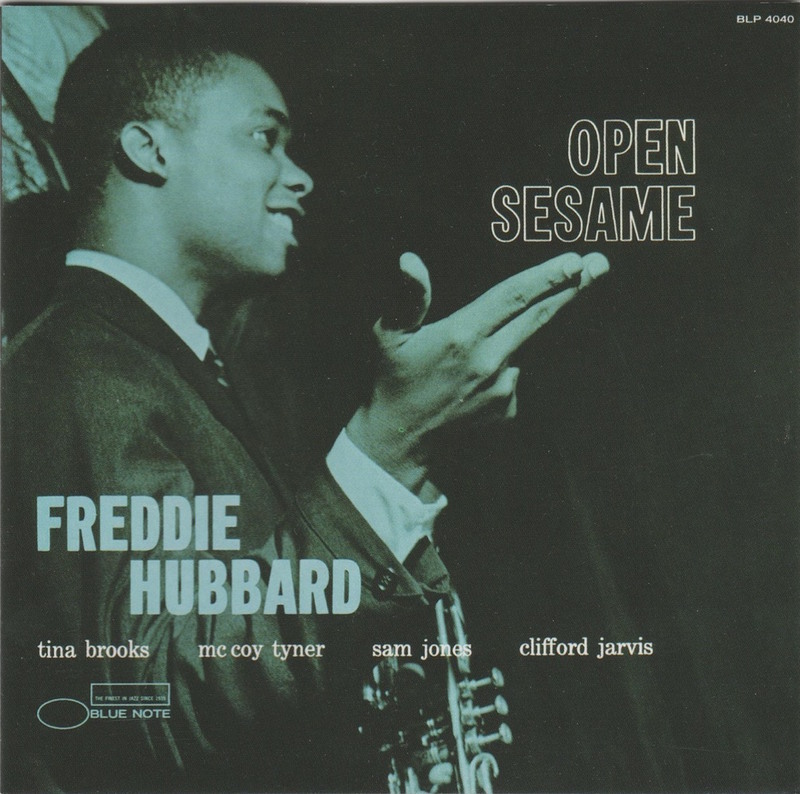 For all their boisterous dips into scales and dynamic voicings, most of them in fact have a conservative touch, as if the pianist took a breather from the intense wrestling match with Coltrane, whose famous quartet Tyner was part of from 1960 to 1965. Titles like Plays Ellington and Nights Of Ballads And Blues offer evident clues. Obviously, Today And Tomorrow, Tyner’s fourth album on Impulse, also finds Tyner realizing his indebtedness to the tradition. At the same time, the pianist revels in his ongoing search for new lands. The album is divided between tunes with a trio and sextet line-up. The trio includes drummer Albert Heath, the sextet Elvin Jones, his friend from the Coltrane group. Tyner and Jones lock tight, the interaction of Tyner’s hefty voicings and the pushing-and-pulling rhythm of Jones on the modal blast Contemporay Focus is unbelievable. Contemporary Focus comes close to the energy of, say, Coltrane’s Crescent or Art Blakey’s Free For All. How’s that for spirit? The sidemen on Contemporary Focus, T ‘N’ A Blues and Three Flowers, the latter a beautiful melody that dances like a surfer on the waves of Butch Warren’s waltz figure and the contrasting polyrhythm of Elvin Jones, are Thad Jones, John Gilmore and Frank Strozier. Differing textures mingle, each one, Thad Jones’ snappy, balanced trumpet playing, John Gilmore’s soothing and refreshing mix of blues and space oddities, and Frank Strozier’s fervent twists and turns on the alto, equally distinct. Whether in small or larger ensembles, McCoy is McCoy, all colorful strokes like Van Gogh high on absinthe. Underlined by a dense chordal labyrinth, his rather otherworldly technique creates patterns resembling the running of water, his right hand lines high on the keyboard flowing like cool water that splashes and gurgles its way through the narrow channels of a rocky river, and develops into cascading waterfalls before you can say ‘awesome’. Too much? Can’t breathe? Not taking away anything from Tyner’s unmatched gift, I can imagine. It may just be me. Regardless, there’s a balance of flamboyance and romance in McCoy Tyner’s playing that will intrigue listeners till kingdom come. Of the trio recordings, Night In Tunesia stands out. Albert Heath’s brush playing is meaty, swift, rivaling the unforgettable mastery that Elvin Jones regularly displayed, notably on Tommy Flanagan’s Overseas. You can see Tootie sitting behind the kit, body erect, arms slightly moving along with the swift wrist that is doing the job so expertly. Today And Tomorrow is a masterclass in musical excellence, intense stuff. A rather indistinct title but a major league McCoy Tyner album.